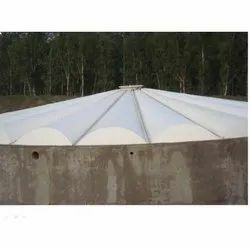 Our range of products include printed self supporting frp domes, frp floating dome, frp self supporting dome, frp commercial dome, fabricated frp domes and frp floating dome for biogas plant. We are one of the illustrious manufacturers, suppliers, exporters and traders of Printed Self Supporting FRP Domes. This range of products is completely leak proof and do not need installation of any MS structure beneath. In addition to this, FRP Domes offered by us gives equal expansion and contraction to the dome due to the use of single material in their manufacturing. This facility offers these domes better life as compared to their conventional counterparts. Any shape & sizes can be designed as per the customer's requirement. 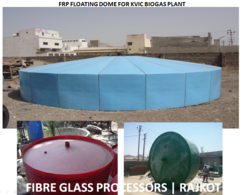 We manufacture FRP Floating Dome for the biogas plants. Our range is from 2m3 - 85m3 the FRP foaling domes are UV stabilized for long life. The FRP domes are tested for no gas leakages at the manufacturing facility for the best quality. 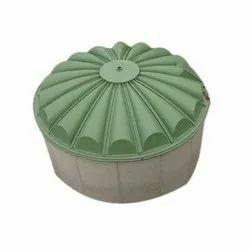 We are manufacturing FRP Self Supporting Dome. 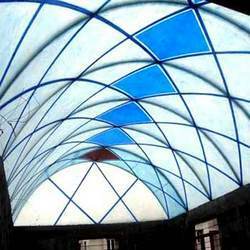 These FRP Domes are designed as self-supporting dome does not require any Steel Structure for reinforcement. All the panels are manufactured in Factory with minimum tolerance consistent quality. The panels are transported at site assembled at the site, so the transportation cost is low. FRP being non-corrosive in nature doesnot corrode give a long service life. The top surace is UV Stabilized weather resistant. Availalbe in all the standard colors shapes. We manufacture cicular, rectangular square base shape. Other shapes can be designed manufactured as per the site requirement. 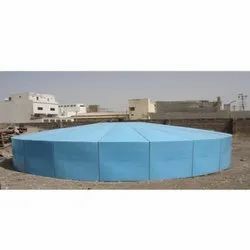 We design manufacture GRP/FRP Commercial Dome for use in Temples/Mosques/other public places. All the design manufacturing is done by us. Any size shape can be manufactured by us. The dome is manufactured in panels assembled at site. All the colors are available as per the customers requirement. 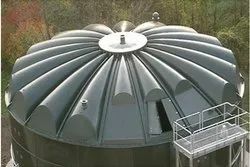 Our range is from 2m3 - 85m3 FRP floating dome for KVIC Biogas Plants. the FRP Foalting Domes are UV Stabilized for a long life. the FRP Domes are tested for - NO GAS LEAKAGES at manufacturing Facility for the best quality. Looking for FRP Domes ?